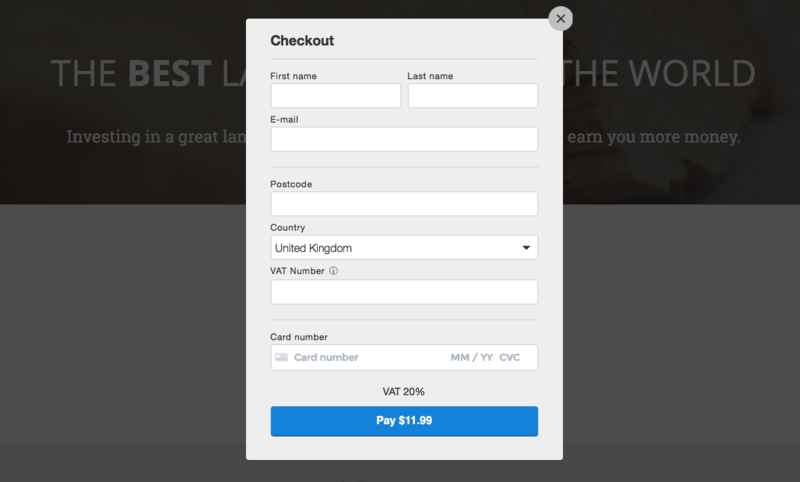 Quaderno Checkout is an embeddable payment form for your Thinkific site. It works within your site seamlessly, allowing customers to pay in-place without being redirected away anywhere else. It looks pretty great, to boot! 3. 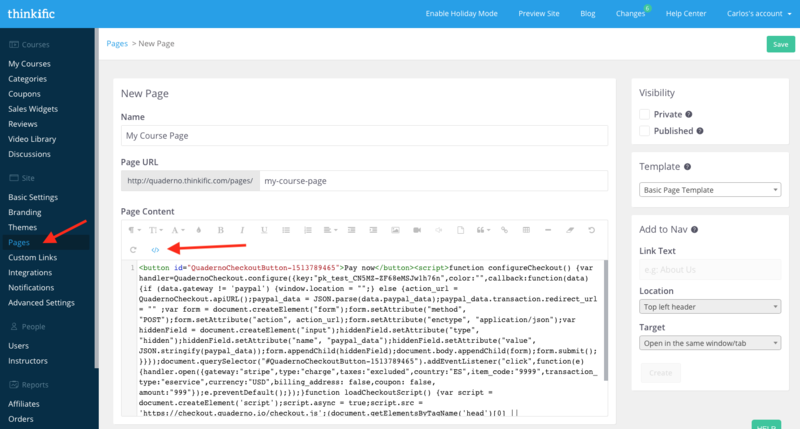 Open the page where you want to embed the Checkout form, open the HTML editor under where it says Page Content and paste the HTML code snippet into the source code field. 5. Enroll the customer to your Thinkific course via Zapier. That's all! Every time you get a purchase via Quaderno Checkout, the buyer will have access to your Thinkific course.